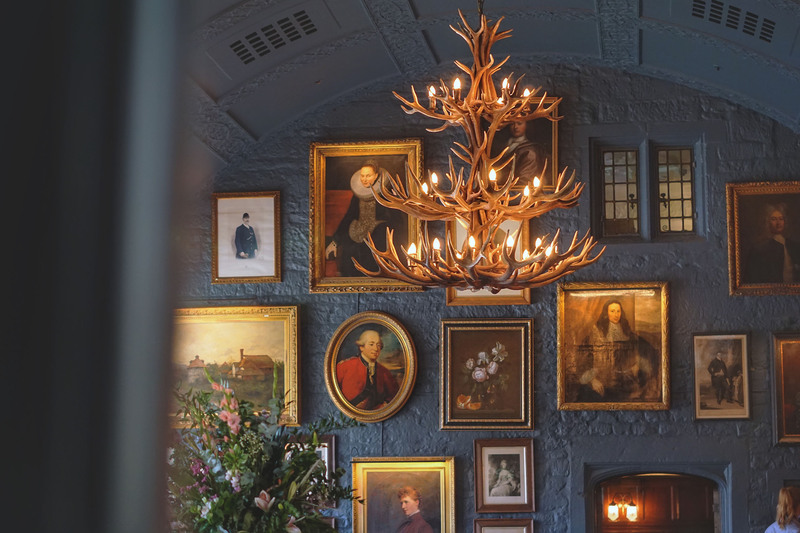 Dining at The Lygon Arms is a typical Cotswolds celebration of local food and drink. Each menu is carefully crafted using locally sourced, fresh produce. 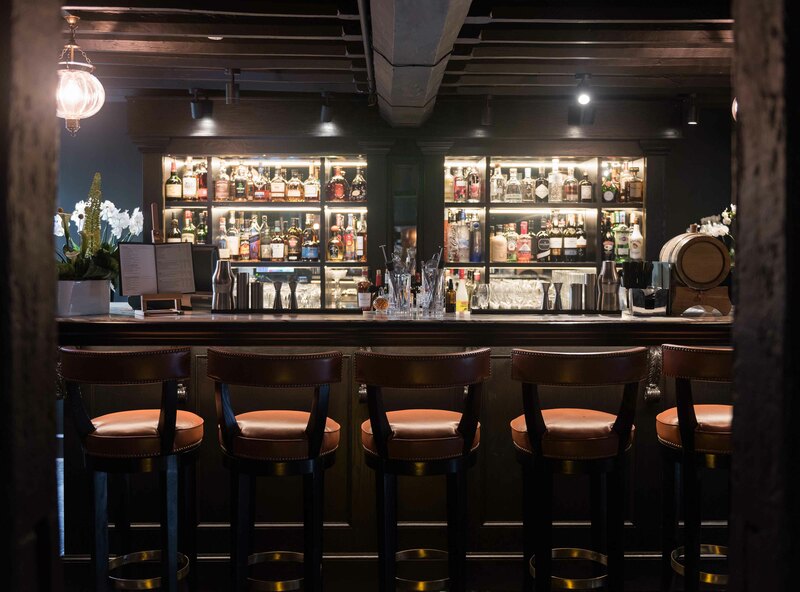 The Lygon Bar & Grill is a relaxed and informal eating space. The grill offers a seasonal British menu that celebrates fantastic local ingredients in a relaxed yet imaginative way. 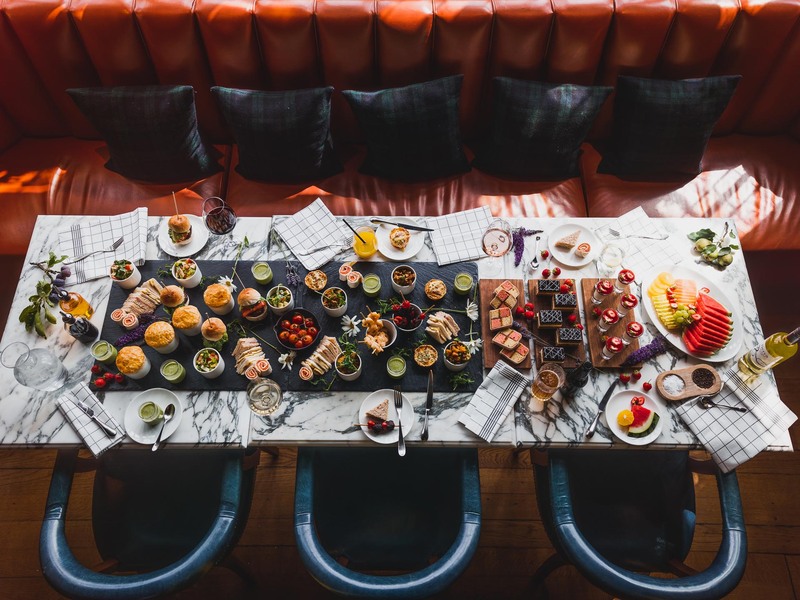 The highest-quality produce is at the heart of all dishes, and has stemmed from friendly and sustainable relationships with Cotswolds suppliers, farmers and artisans to produce a varied all day menu. For the most part wonderful, one or two occasions where staff seemed so busy we were left waiting or unattended. Small details - one of your staff had rips in her jeans, one team member didn’t know the menu accompaniments for one dish, housekeeping staff talking/laughing very loudly outside our room before 9:00am etc. I was encouraged by the fact that there were a number of vegan options on the menu but unfortunately when the food came it fell below our expectations. The chopped salad was uninspiring (and the price of £10 is really not justified), the burger was oily and bland, the cauliflower was also oily and tasteless because it was missing the pesto. No cask ale was also disappointing. The service was good but unfortunately the food really spoilt it for us. Food was good overall. Service was ok bit could have been a bit more slick. Staff seemed a little inexperienced. We had a wonderful meal! The food was delicious, service was friendly and the room is a beautiful! Highly recommended for a wonderful dining experience. We had the Sunday lunch at the restaurant. It was very good and excellent service. The Sunday lunch was better value then dinner. Overall a lovely meal and great service. Very good service. Excellent food at the restaurant but limited options on the menu. Food a little expensive especially the dinner menu. However the quality and portion size is very good. There is an automatic service charge added however this can be taken off on your request. Overall a very good hotel and facilities. High Quality Sunday lunch, fantastic informal dinning with a relaxed atmosphere. Delicious food. Slightly on the expensive side (and I live in London so used to high prices), but great for a special occasion. I cannot fault the staff. Lots of staff and though they were pleasant and polite they could not answer a simple query about the dessert menu. Rather slow which didn’t matter as we were on holiday. We all enjoyed the roast beef and would definitely go again. 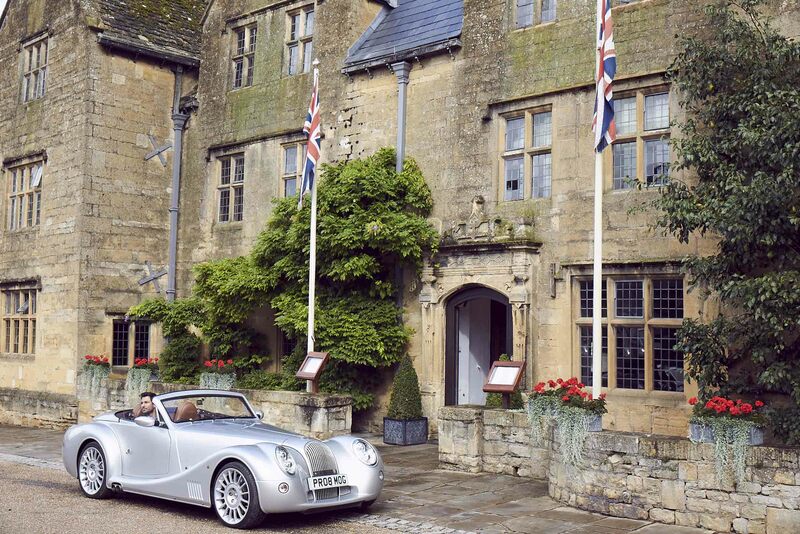 A very enjoyable 2 days at the Lygon Arms. The staff very helpful and attentive. Stunning meal and lovely venue. Its not a cheap place to eat, but its worth it! 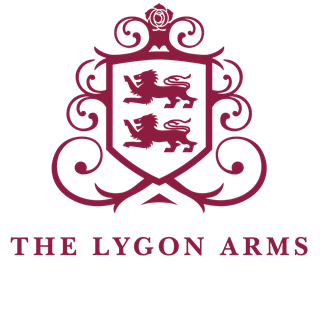 Another exceptional trip to the Lygon Arms, great to see so many familiar faces welcoming me back, testament to the team and their culture they’ve bred. One of the best stays we’ve had in any property recently. Great work all involved. Delicious wine at table, food EXTREMELY small, two tiny bites of lamb for £25 and purple broccoli arrived cold with main meal and was not purple as described. So had to eat separately to guests. The whole ordeal was so bad, we cancelled our dinner reservation for the next evening. And headed to the pub where we were served tasty warm food at a good price. We had a nice stay overall and slept well in the bed, but we felt the bedroom decoration was tired and the layout of the lounge in the Gordon Russell suite could be improved, considering the cost of the room. Also, the pool was quite cold. 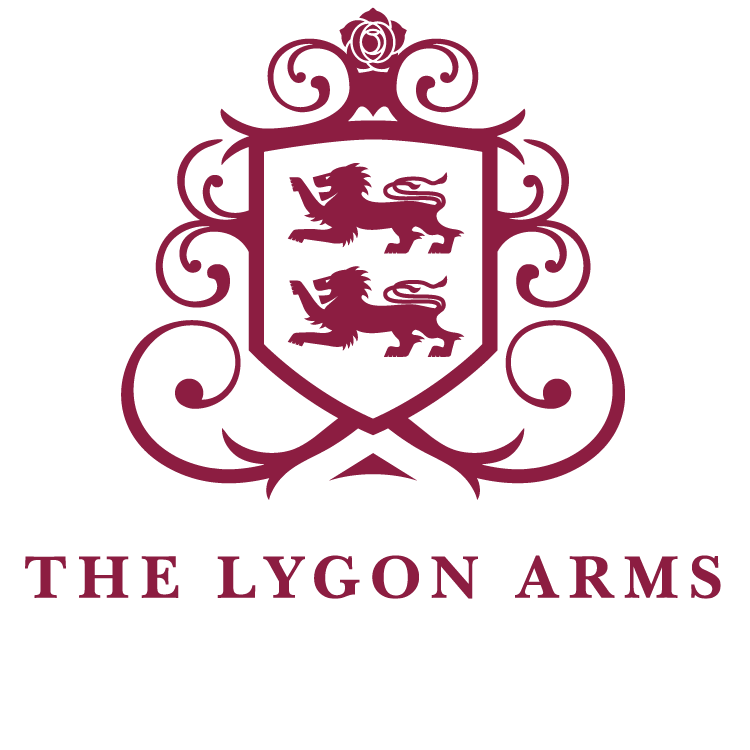 Our great thanks to all the wonderful members of staff at the Lygon Arms for their kindness, courtesy and the excellent conversations we had with them. Our special thanks to Les who was so accommodating and helpful, a terrific asset to a delightful Hotel. Breakfast tomato was tasteless. Otherwise good and wine not a rip off which is sometimes the case. All these criticisms were made to the management on the night, and the following morning before departure. The deserts on the other hand, were delicious. Only two types of Cabernet Sauvignon on the menu and one of those I wanted was out of stock!! End of school report would read "could do better" Not sure about going back there right now however until a new chef is employed.!! The restaurant and staff were very good. However, we were very disappointed with our meal. The octopus starter was very poor, one steak had to be returned as it was very over cooked and had been ordered rare. The vegetables were badly cooked, the spinach swimming in water & the brussel sprouts completely raw. We did not complain at the time as it was our 40th wedding anniversary & we didn't want to spoil the occasion. The bill came to £151 which represents poor value for money. Such a shame because this should have been a special evening. 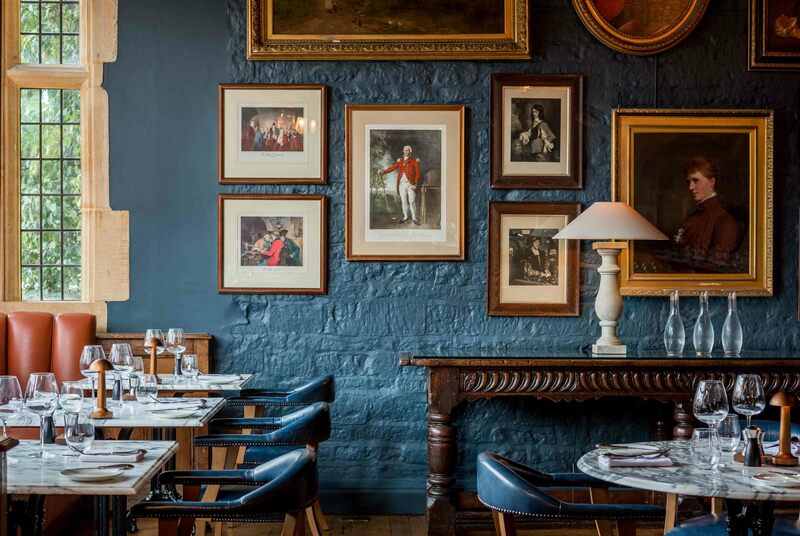 We enjoyed our evening dining at the Lygon Arms. The food was beautifully presented and interesting. The service was attentive without being intrusive and the Grill has a charming and chic ambiance.